I recently had the good fortune to meet Suzie Cooney doing what she does so often: providing her expertise for community events with great energy and generosity. You can also catch her working with clients at Suzie Trains Maui. She has done over 23 free women’s clinics since 2009 that were, according to Suzie, completely rewarding. Experiencing her enthusiasm as we did, it’s obvious that “giving” of her talent is a natural. She gave the group doing a “fun race” part of the Olukai Ho’olaule’a event a well-designed warm-up before our event. It warmed us up – and with her encouraging words – helped us get the jitters out. Another Suzi, a recent client of Cooney’s, recently arrived to Maui and found “Suzie Trains Maui” via the internet and through friends. Whatever the fitness level the client comes with, Cooney can customize the program to best meet both needs and expectation. The “other Suzie” was already an incredible surfer, sponsored skateboarder and all around charger. Cooney was quite busy at the time the new client arrived, but Cooney made space in her schedule for “the other” Suzie. She insisted they start training right away and together they decided Maliko was “it” – just the right event to train toward. 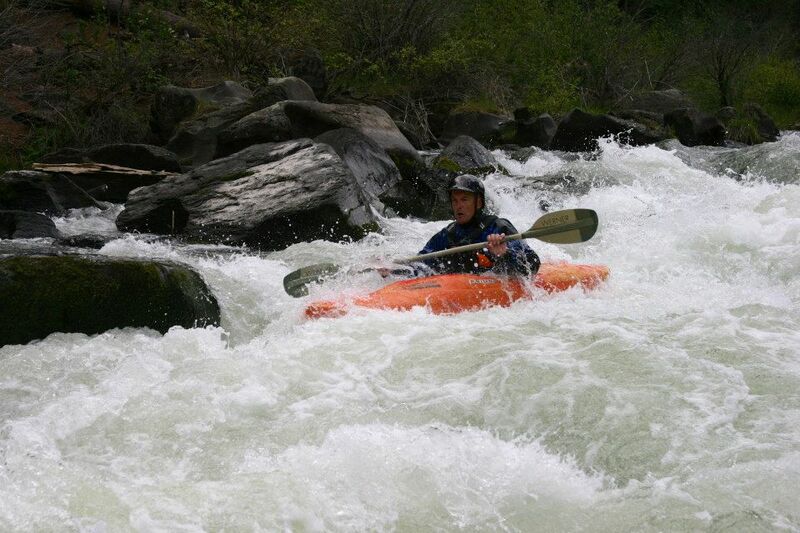 The OluKai race would be her first competition and so the training began. She felt with her base of surf knowledge and water experience this would be the ultimate challenge for her and allow her to have a goal and get into tip top shape. In talking to Suzie, it is apparent that she is in the business heart and soul. She explains, “It’s a huge reward to prepare someone for their big day down Maliko. It can go either really great or really bad. Sometimes people think they are ready and sometimes fear overcomes them and they simply can’t stand most of the run. Coming out of the gulch takes the most out of people. It appears very calm and mellow from the ramp in the bay and soon as you hit the point, the wind can take your board and the swell can take you down so hard and fast you don’t know what hit you. 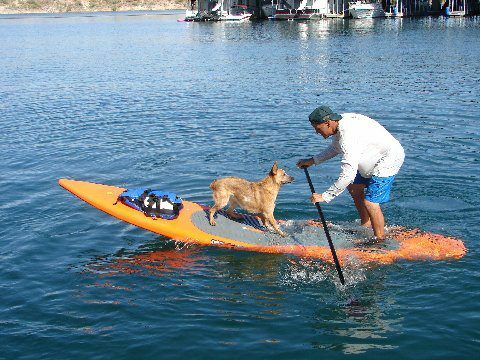 Most go out on their knees until they get the strength and body endurance to paddle hard against swell and big side winds until you’re out quite a ways. I try to encourage people to interval train at high intensity because getting out of the gulch can take a lot of energy and there is no time to dilly dally. It’s full on until you get to turn the nose of your board down and head towards the amazing Iao Valley. I teach people how to read the reefs along the way, where to have land marks and how to manage the changing conditions and often change half way down. Keeping calm is the most important thing and relaxing your body if your not used to winds blasting at your back up to 40 mph. Most people who have a wind sport in their life, like windsurfing or kiting do very well. They know how to read the water and wind which helps. 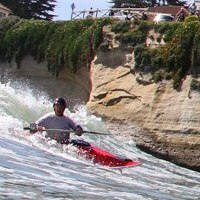 The people most likely to be labeled “watermen” (or waterwomen) are the least likely to adopt that label for themselves. Our time in Maui, especially at the Olukai Ho’olaule’a event, made us very aware of the waterman culture and spirit. We asked Suzie about that, “I believe always in giving back, for the more you give the more you get, especially from the ocean. 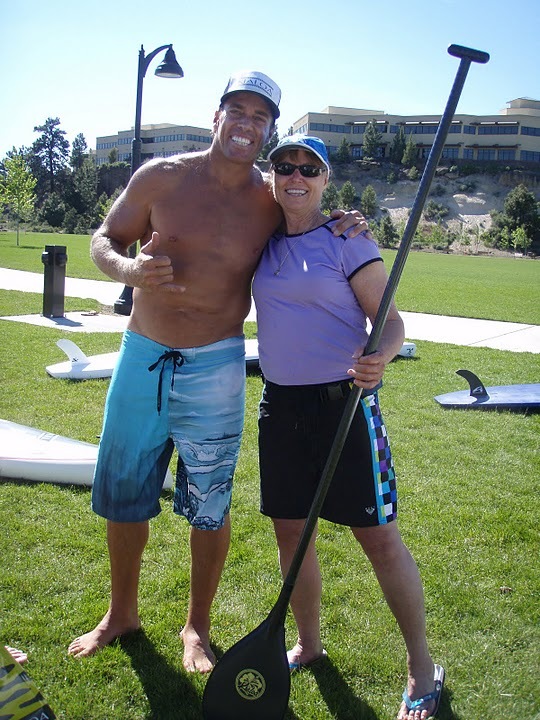 I’ve always admired how long time waterman and waterwomen have taken me under their wings and taught me how to respect the powers of the ocean and I wanted to do the same. So many people have no idea what it’s like to manage big or small waves, about the currents, the tides, the winds and how everything affects all aspects of what we enjoy out there. Kula Sunn, Rell Sunn‘s sister is the biggest inspiration to me as she has spent a lot of time showing by example in all that she does. We’ve surfed and dirt biked together and she would give her last gallon of gas or the shirt off her back. We were very fortunate to get to know Suzie. 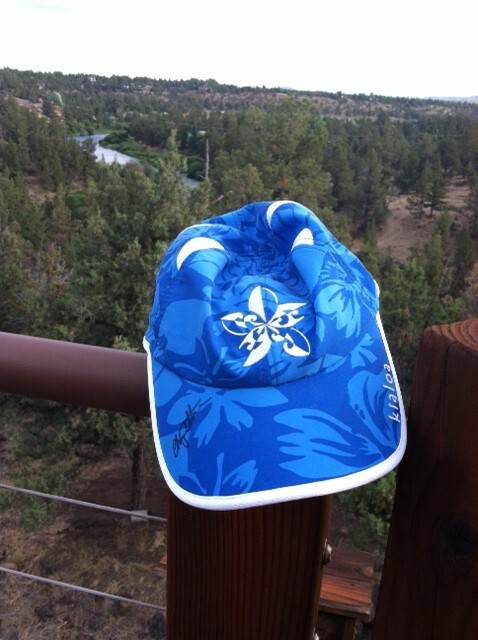 The true spirit of Aloha resonates within her spirit! 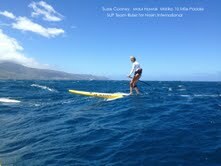 When you’re in Maui looking for expert fitness and SUP training, call Suzie Trains Maui and Standup Paddling Fitness.